While looking up information on Carlisle’s participation in the 1912 Olympics, I stumbled across an article from Carlisle in the Washington Post that had nothing to do with the Olympics. So, we’ll take a day off from our Olympic coverage for a little romance. Hurt in Game Against Syracuse, First Thing He Remembers on Regaining Consciousness Is Face of Pretty Indian Maid—Football Eleven Gives Happy Couple Wedding Banquet. Carlisle, Pa., Jan 17 —As the climax to a four months romance that began when the groom was Injured on the football field, and was nursed in the Carlisle Indian School Hospital here by the bride, Henry Roberts, 23 years old, of Pawnee, Okla and Miss Rose Denomie, 19 years old, of Ashland Wis, were married here at the home of M. Friedman, superintendent of the school, today. 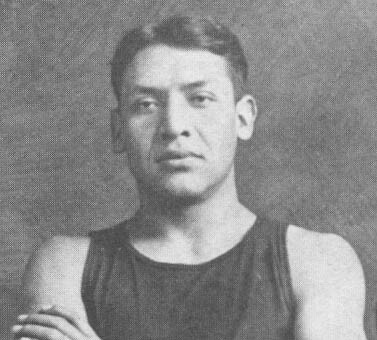 Henry Roberts, Pawnee, played left end on the great Carlisle 1911 team and, before his injury, was Rose Denomie’s football hero. 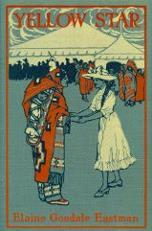 As she nursed him back to health he determined to win the Chippewa maiden’s hand. He studied for a civil service examination and passed with high marks for which he was rewarded with a $900 a year clerical job (not bad for any American in 1911) at Shoshone Indian School in Wyoming. Armed with a good-paying job and restored health, he proposed. Because Rose was Catholic, they were married by Father Strock in Superintendent Moses Friedman’s residence and were feted by his teammates. Immediately after the celebration they caught a train for Wind River Agency, Wyoming. 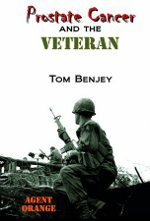 In November The Red Man reported that they were in Odanah, Wisconsin where he was employed by the government as a stenographer. 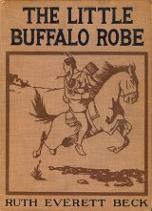 Jack Newcombe described Roberts as the one who “epitomized the success story Carlisle cared to boast of: a business career with an oil firm in Oklahoma, a home on a hilltop in Pawnee not far from the reserve where he was born, a happy marriage with the girl he had met at Carlisle.” In a 1959 interview Roberts mentioned that before retiring he had helped build the atomic bomb at Los Alamos. From bows and arrows to atom bombs! Next time it will be back to the Olympics – if nothing interferes. 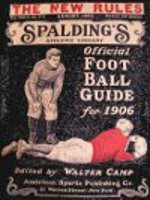 The 1904 Olympics were not the first games to feature football. 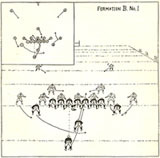 The 1900 Paris games included two football events neither of which were American football. Soccer and rugby were both played that year but in 1904 American football appeared in the Olympics for the first time. 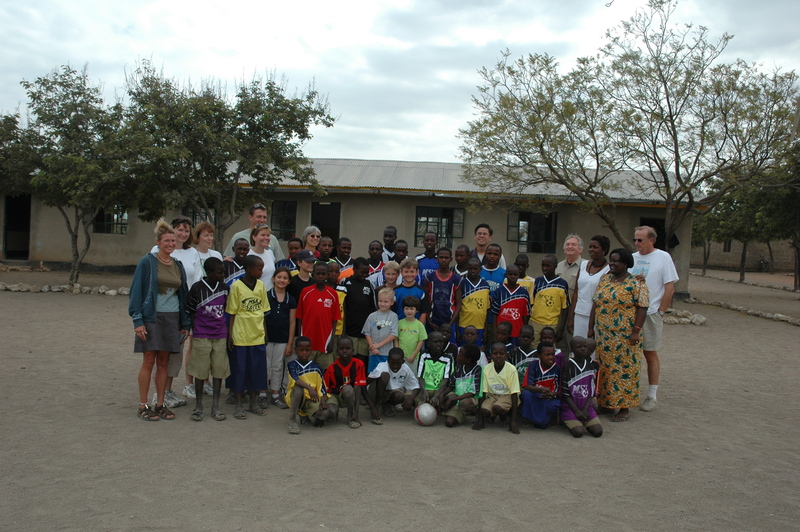 Football (soccer) was a demonstration sport in which three teams played a round-robin tournament between two American teams and a Canadian club. The Canadians won the gold. Several college football games were played on Francis Field at the fair. Washington University and St. Louis University each played a number of their games on the Olympic field. Missouri and Purdue even played there. Prior to the Fair, Washington U’s teams were known as the Purities but due to playing at the Fair were renamed the Pikers in 1905 as a comment on their association with the infamous world fair’s Pike. However, the most important college football game played at the 1904 Olympics wasn’t played by colleges. President Theodore Roosevelt was to visit the Fair over Thanksgiving weekend making it an ideal time for a major football event (read moneymaker). The Fair organizers’ first choice was to have West Point and Annapolis relocate their annual contest to the fairgrounds but that didn’t happen. Haskell Institute’s Fightin’ Indians were tearing up the Midwest at that time and Carlisle was a top ten program. So, the first ever football game between the two government Indian schools was arranged for the Saturday after Thanksgiving. Carlisle already had a Thanksgiving Day game scheduled against Ohio State in Columbus. Major Mercer, the new Carlisle superintendent, very likely saw the opportunities such a high profile game would create for him and his school and added the game to the schedule. 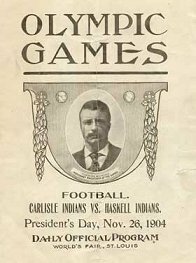 Playing two games in three days may have been taxing for Carlisle’s players, so Head Coach Ed Rogers (Pop Warner was back at Cornell for the 1904-6 seasons) drubbed the Buckeyes with his second team 23-0. Ohio State supporters were unhappy to miss seeing the Carlisle stars they had read so much about. Rumors of Haskell bringing in ringers, some of them white, were rampant. To balance the scales, Ed Rogers suited up for the game as did Assistant Coach Bemus Pierce and his brother, another former Carlisle and pro star, Hawley Pierce. They needn’t have bothered. Carlisle obliterated Haskell 38 to 4. Seeing the superiority of the Carlisle program, eight Haskell players transferred to the eastern school where many became stars. If there was an Olympic gold medal to have been won Carlisle would have won it, but none was. 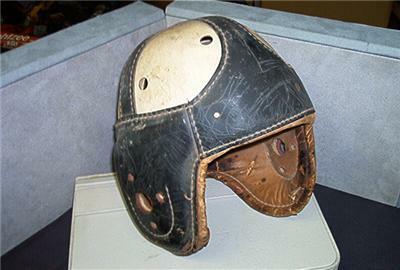 However, the Carlisle Indians were the closest thing to an Olympic football champion that we’ve had – if you ignore the 1920 and 1924 U.S. rugby teams. But that’s a story for another time. The Native American game of lacrosse was played at the 1904 Olympics but mostly by non-natives. Three teams, two from Canada and one from the U.S., vied for the championship. The Canadian Shamrocks won the gold, the St. Louis Amateur Athletic Association won silver, and, in a bit of irony, the Mohawk Indians from Canada got the bronze. Next time we take a look at the 1908 games. News outlets are now getting interested in Native Americans’ participation in past Olympics, so I should share a little of that history in case the media should overlook important contributions. 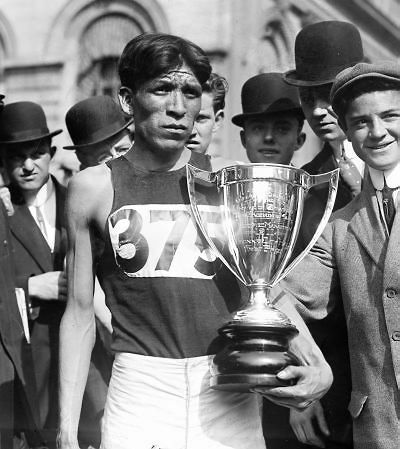 Everyone knows about the incomparable Jim Thorpe’s triumphs in the 1912 Stockholm Olympics, but Native Americans were involved much earlier than that. There was too much earlier involvement to cover in one message, so I’ll break this topic into installments beginning with the 1904 games held in St. Louis as part of the World’s Fair (more properly called the Louisiana Purchase Centennial Exposition). Pairing the Olympic Games with a world’s fair was not unusual at the time because the 1900 games were co-located with the Paris World’s Fair. Including events that we moderns wouldn’t consider appropriate as Olympic events wasn’t unusual either. The 1904 Summer Olympics, officially known as the Games of the III Olympiad, conducted what must have been the most bizarre athletic contest ever. Some 3,000 native people from around the globe were brought to the fair for the Anthropology Exhibit. 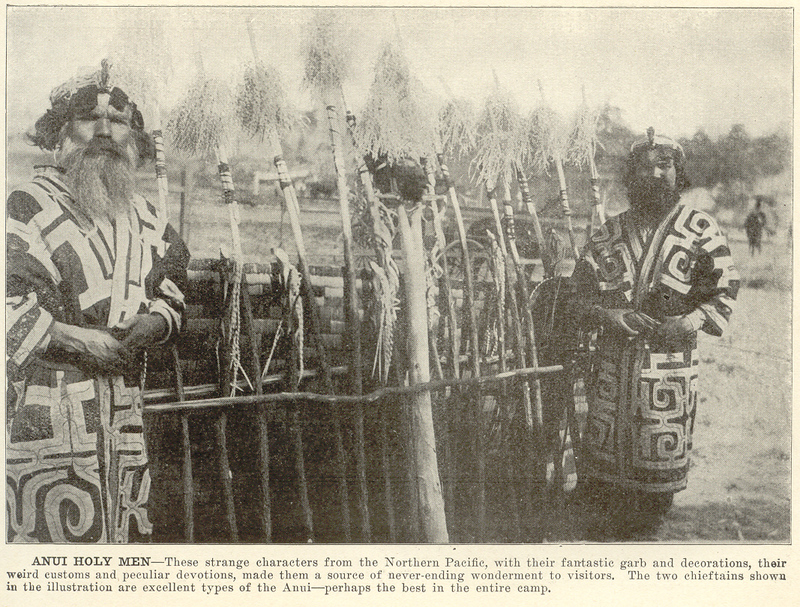 These people lived on the fair’s ground in traditional dwellings and wore traditional attire. Finding appropriate food for them presented a bit of a problem. Legend has it that the neighborhood known as Dogtown got its name as being the place Igorots captured a favorite meat. Included in the Anthropology Exhibit were a number of Native Americans who represented several tribes. Adjacent to their tipis was the Model Government Indian School which was populated by Chilocco Indian School students and faculty. Having all these different “primitive” ethnic groups at their disposal was just too tempting for Fair and Olympic organizers. The athletic games held yesterday for members of the various races in the Anthropology Exhibit furnished one of the most unique entertainments imaginable. A remarkable collection of peoples were gathered together in the Stadium to vie with one another in contests of speed and endurance. There were wild-eyed Ainus, heavy-bearded and gorgeously clad; great, tall lumbering Patagonians; stockily built Moros; slender, tawny-skinned Syrians; long-haired Cocopas, wild and savage of aspect; and last but by no means least, pupils of the Indian School, clad in the conventional athletic habiliments of the white man. Lone Star Dietz qualified for the finals in the shot put, but apparently did not win the event. 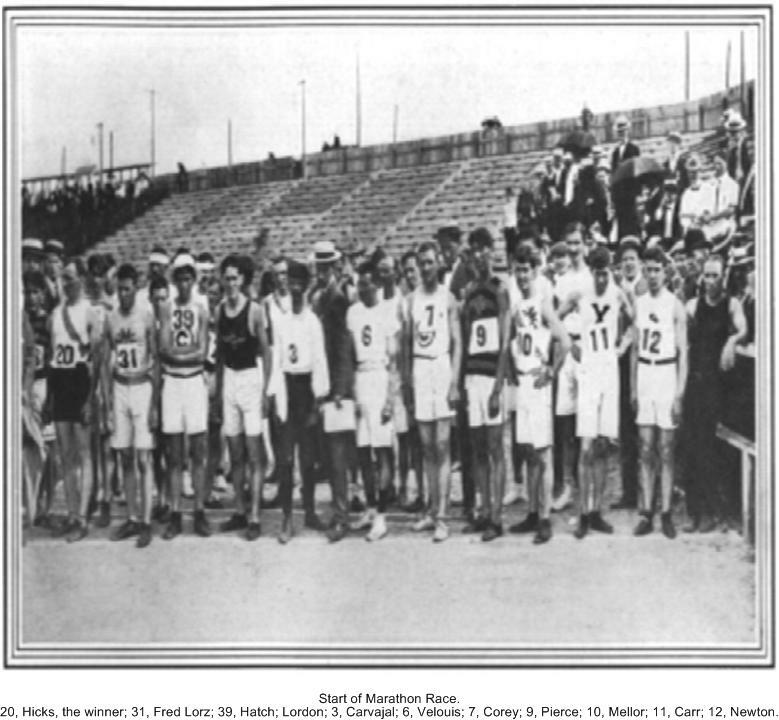 The distance-running Pierce brothers and the 1904 Olympics next time. If you are interested in knowing more about We Are the Ramblers, click on the book link at the right. BTW, Windber was the home of Johnny Weismiller but I don’t think he played football. Carl can set you straight if I’m wrong. He can be reached at fern1616@verizon.net. Often while researching one topic I unexpectedly discover information about another. This happened again when I stumbled across a 1912 article that said a Carlisle Indian School alumnus was granted a patent and was the first American Indian to hold a patent. Nicholas Longfeather, Apache, studied forestry at Syracuse University after leaving Carlisle. The patent was said to cover “a preparation for doctoring trees.” The article also said that Nick was profitably engaged in his profession of forestry in a large southern city. This discovery whetted my appetite for more information about Mr. Longfeather. A couple of quick searches located some more information about him. A 1911 Atlanta Georgian article announced that the firm of Longfeather & Shepard, experts in forestry and landscape, as well as doctors of diseased trees, was opening an office in the Argyle Bldg at 345 Peachtree St. He was working on a project at the Adair estate and liked Atlanta so well that he was going to live there. 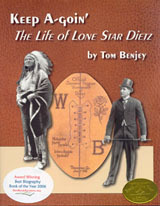 The article also said that he was born in a wigwam and had a most interesting history but did not share that history. The Adair estate meant Forrest Adair’s 15,082 sq ft mansion, 2,800 sq ft carriage house and swimming pool (the second one in Atlanta) on 15 acres of gardens and lawns in the new Druid Hills subdivision, the last one designed by Frederick Olmstead before his death in 1903. A February 1911 Syracuse Herald ad for Longfeather & Shepard described themselves as “CARLISLE AND YALE, EXPERTS IN forestry, landscape architecture” located at Syracuse University. According to Ford R. Bynum in Clara: Mrs. Henry Ford, Nick was brought up to analyze the condition of the trees at the Ford home, Fair Lane, in Dearborn, MI. Someone – a student perhaps – looking for an interesting project might want to research Nicholas Longfeather’s life.